Are you ready to dip your toes in the Facebook “go live” pool? Is it one of your 2017 goals to provide compelling visuals to news outlets? 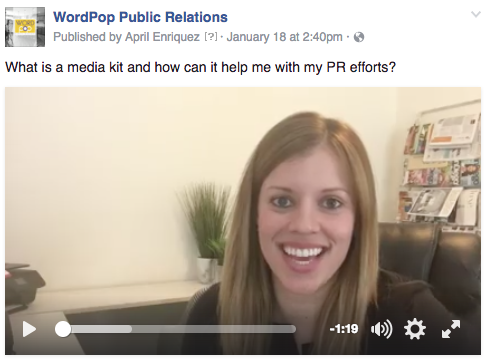 WordPop recently attended the PRNews Media Relations conference and came away with a bunch of tips for upping your visual communications game this year. Download WordPop’s Guide to Visual Communications!